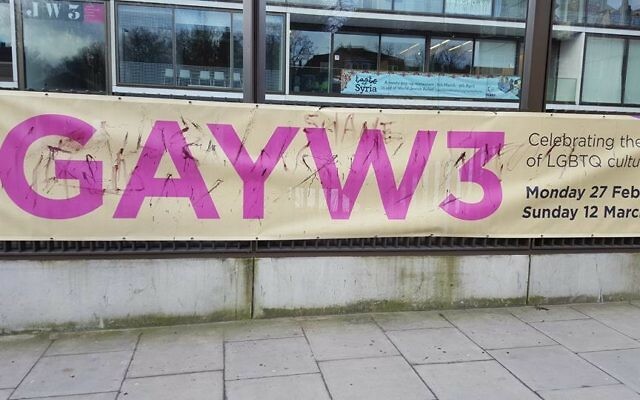 Raymond Simonson, the chief executive of JW3, has called for “unity” and “strengthening our Jewish identity” after a letter was made public in which strictly Orthodox rabbis urged their members to boycott the Jewish cultural centre. Last Friday seven strictly Orthodox leaders, who are believed to include Dayan Abraham David, wrote an open letter to their communities saying “a red line has been crossed,” complaining about a gay festival held in March which they said was “in total contradiction to Orthodox Judaism and Halacha [Jewish law]”. Dayan David is a member of the Sephardi Beth Din which supervises kashrut at JW3. Mr Simonson told Jewish News that he had “heard that JW3’s kashrut licence had been discussed” in the negotiations surrounding Rabbi Joseph Dweck, whose May lecture on homosexuality and Judaism caused uproar among some in the strictly Orthodox community. But, to date, Mr Simonson said, he had had no suggestion that JW3’s kashrut licence was under threat. He praised the Sephardi Kashrut Authority which, he said, enabled JW3 to do a variety of things including kosher catering off-site, to stage the annual Jewish food festival, Gefiltefest, and the recent Syrian food pop-up restaurant. “I am used to engaging in conversation with those who may not always agree with us, “ Mr Simonson said. “But this [letter] is not that, though I am still very happy to talk.” He would like to speak to Dayan David, he said, though he added: “I am not going to get into an argument with a group of learned rabbis.” He had had a number of supportive private notes from United Synagogue rabbis, he said. Michael Goldstein, the new president of the US, is also chair of JW3. Mr Simonson maintained that despite the call to boycott the centre, Charedi Jews did come to JW3 — and said that a couple from the community of one of the signatory rabbis had in fact visited on Sunday. “In December, we had Charedi teenagers on the ice rink and then watching a film in our cinema, secure and comfortable in a Jewish space,” he said. But Jewish LGBT groups have reacted with fury at the open letter, whose lead signature appears to be that of Rabbi Aaron Bassous of Beit Hamedrash Knesset Yechezkel in Golders Green, who led the campaign against Rabbi Dweck. Rabbi Bassous called Rabbi Dweck’s lecture “poisonous”. Among the other signatories were Rabbi Yisroel Greenberg of Munk’s shul in Golders Green, Rabbi Shimon Winegarten of Bridge Lane Beth Hamedrash in Temple Fortune and Rabbi Mordechai Fhima of Anshei Shalom in St John’s Wood. This week LGBT representatives hit back. 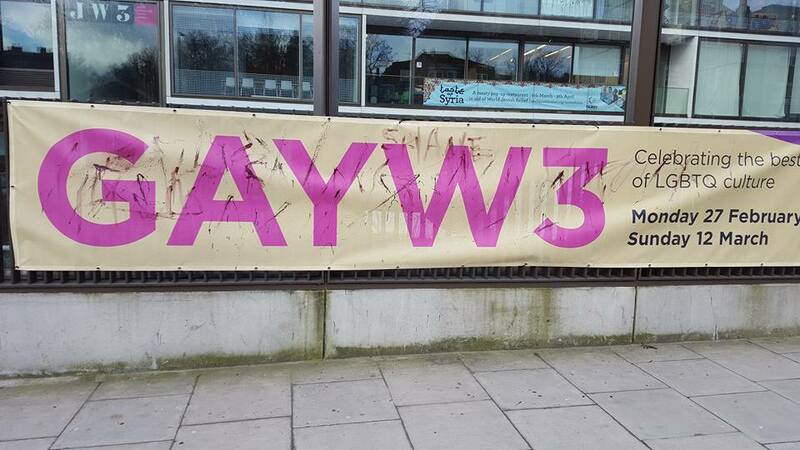 Dave Shaw, a trustee of LGBT umbrella group Keshet UK, said JW3 had “helped to create a world where no-one has to choose between their Jewish and LGBT identities,” and criticised the Orthodox signatories for causing divisions between Jews. “Attacks on individuals or organisations that support LGBT inclusion only alienate LGBT Jews and allies, many of whom already feel marginalised,” he said. Jackman said young LGBT people “already have enough of a struggle to be recognised and accepted” in their shuls and the wider Jewish community, and that the rabbis’ letter had just made their lives harder. “The fact that they condemn LGBT-friendly events as a ‘total contradiction to Orthodox Judaism’ shows how poorly they understand both the LGBT community and Judaism,” he said.